Thund-R. Thund-R! THUND-R PANTS! HO!!!! 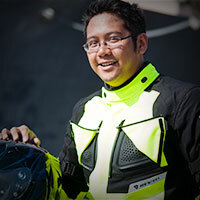 Rukka continues to produce high end motorcycle pants that can take on the harshest of conditions. The new Thund-R pants will be able to take on inclement weather and undead evil sorcerer cats named Mumm-Ra. 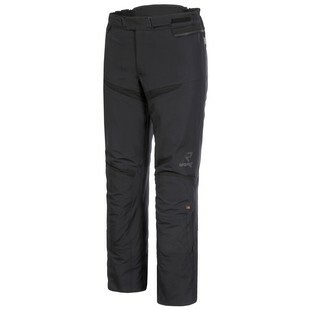 Rukka uses the top tier Gore-Tex Pro 3 layer membrane laminated into the outer shell of the Thund-R pants. Rain and wind are kept out while perspiration can still escape. Beefy Rukka D3O Air limb protectors absorb energy from impacts. Rukka's AirCushion and grippy Keprotec keep your behind in the saddle. The removable 60g thermal liner helps to hold in heat when your home planet Thundera explodes and you are forced to search for a new planet to call home. Rukka's Thund-R Pants will help defend against cold wet weather just how Lion-o's Claw Shield protects against energy and melee attacks. It doesn't matter if you are riding through a cold rain storm on your motorcycle or HoverCat, Rukka's Thund-R pants will keep you dry and warm.